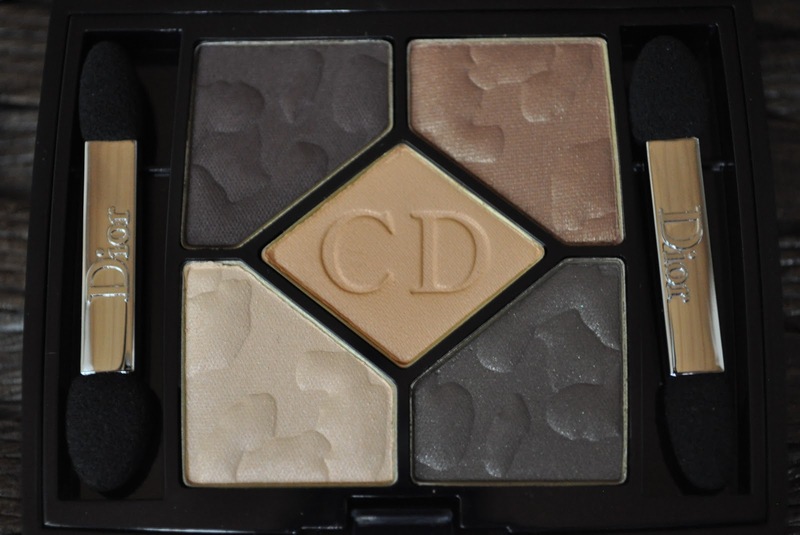 First, the 5 Couleurs Couture Colour Eyeshadow Palette in Mitzah. The exterior packaging is the same blue plastic palette casing. 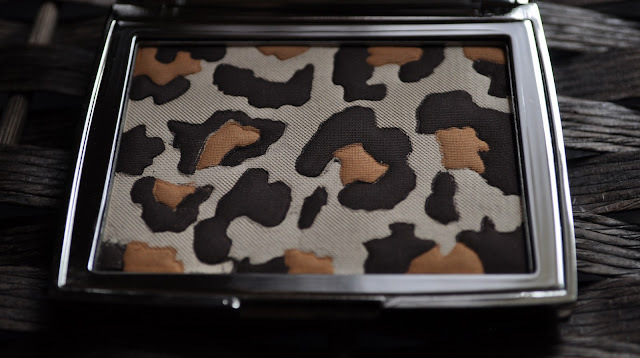 Besides the actual products, my second favorite thing in this collection is the dior panther (leopard) print lined velvet pouches. The panther lining adds an extra touch of chic to the collection. Normally, I toss these pouches but I will be keeping these; turning them inside out to expose the lining and storing the palettes in them. The eyeshadows in the Mitzah palette also have the same panther print theme on their surface. The Mitzah 5 Couleurs Couture Colour Eyeshadow Palette retails for $60 and is still available online at Sephora.com. 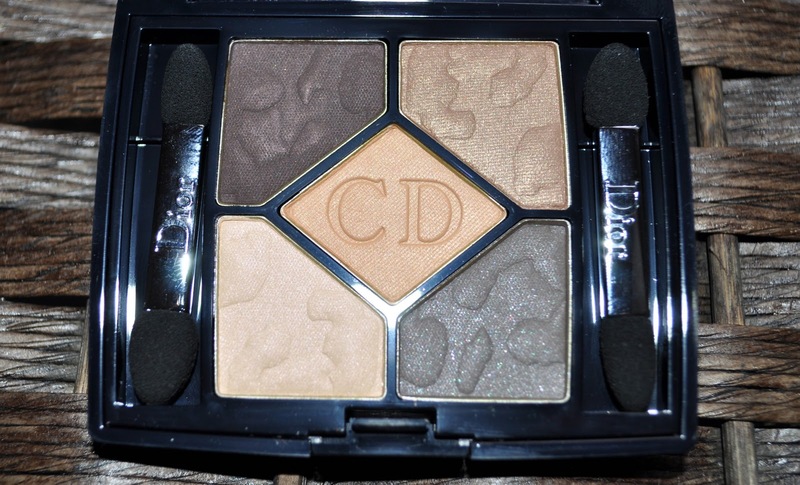 Next, is the Dior Mitzah Panther Eyeshadow Palette in Jungle Print. The presentation and packaging of this product is very lush! 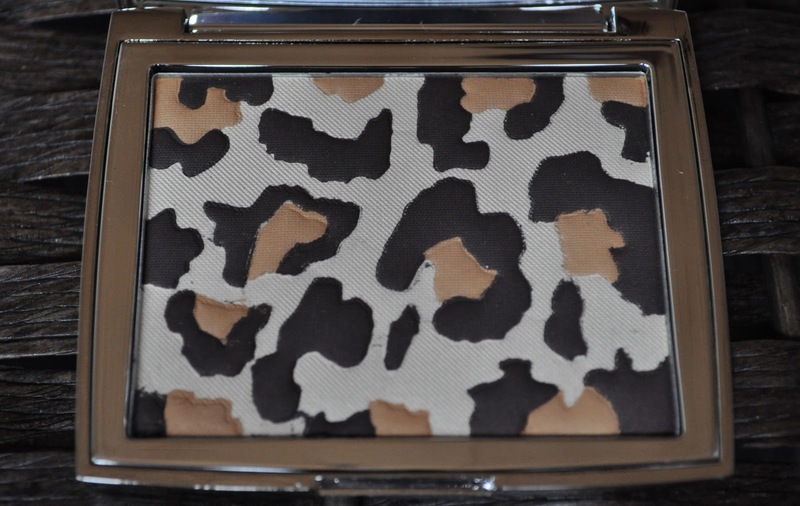 The Jungle Print palette comes in a weighty mirrored silver compact. Also included in this palette is small brush with its own matching tiny velvet pouch (so cute). Regrettably, I no longer have the numbered card that came with this palette due to SOMEONE throwing it away...(insert despising stare). I love anything leopard print and once I saw this palette, I had to have it!! This item can be a wonderful collectors piece; and even through I do "collect" makeup, I also believe in using it. The Jungle print palette retails for $90 but it is no longer available online. If you were not able to get this palette, don't worry, as you can see in the swatches, the chocolate brown, beige and camel shades in the Mitzah 5 colour palette are almost idenitcal. The shimmer in the cream beige shadow in the Mitzah palette has a slight pink cast, where the beige in the Panther palette is matte and sheerer. 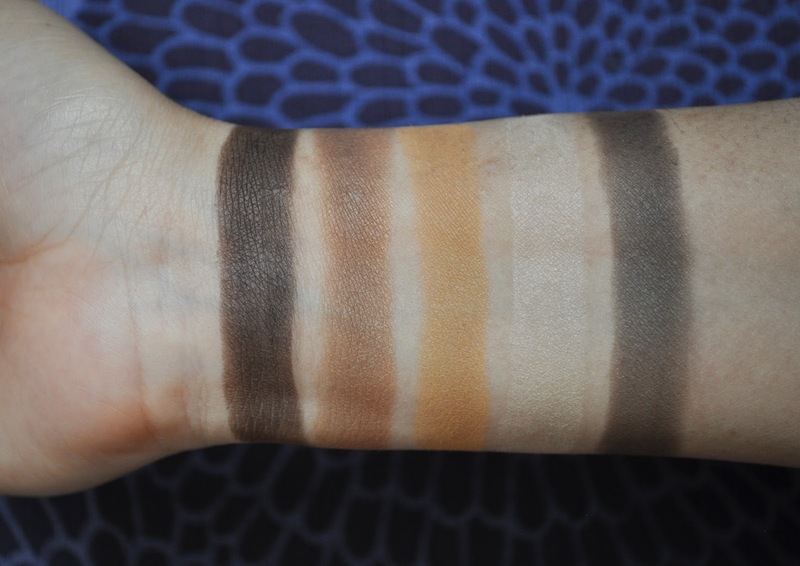 The chocolate brown shade is just about identical in both palettes, except the panther shadow is a bit darker. 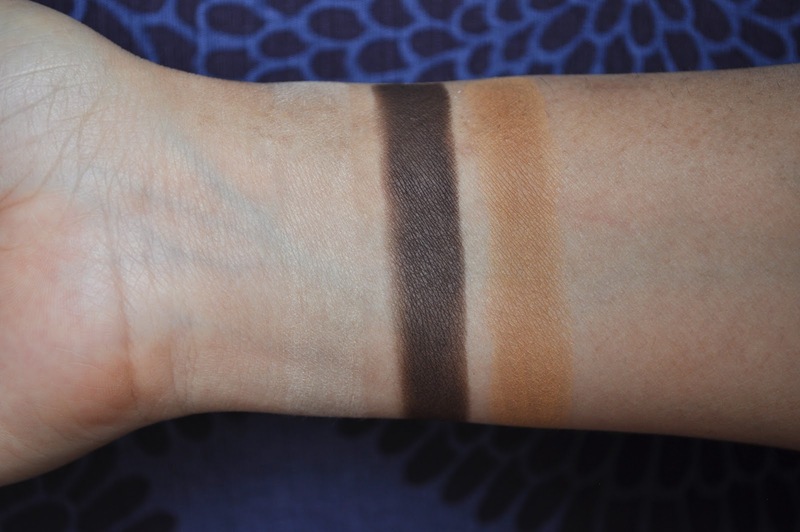 Also, the camel shade in the panther palette is darker then the Mitzah shadow. What were your thoughts on this collection? Did you buy anything? Ohhhhhhhhhhhhh my gosh......so gorgeous! The animal print is to die for! I didn't get anything from this collection because I still have a dior bronzer from 1 year ago that I haven't opened yet. 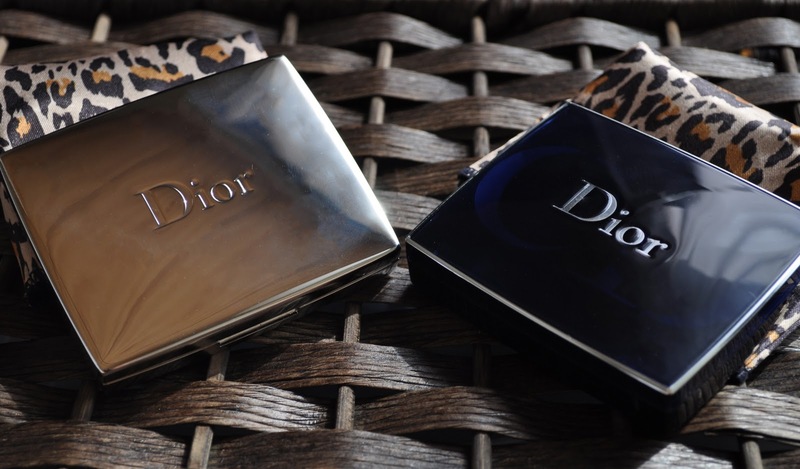 I love dior products though! Have you tried their shimmer highlighter? To die for!! Dior has to be one of my favorite brands. I haven't tired the shimmer highlighters yet. I own a million highlighters but I have had my eye on the rose and amber diamond highlighters. Now that you've peeked my interests, I think I may have to get one or both :D. Which one do you have? I have the amber diamond highlighter, it's amazing!!!! It photographs like you can't imagine!! GOOOOOOOO GET IT!! !